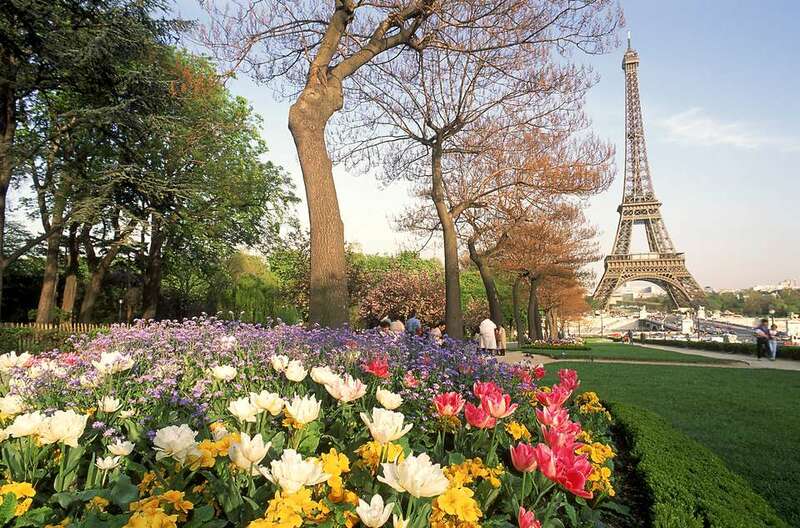 Whether Easter is a religious occasion in your family or a moment to share delicious meals and chocolate eggs, celebrating this fun holiday in Paris can be genuinely fun, especially with the invigorating arrival of Spring in the city of lights. To help make your break unforgettable, we've compiled a list of places to shop and dine, in addition to special events in Paris. Do keep in mind that most shops and many restaurants are closed on Easter Sunday, and on the following Monday as well, which most people have off from work. For most people, no Easter would be complete without at least a bit of good chocolate. Luckily, Paris harbors some of the finest chocolate makers in the world, and Easter is a major occasion for these artisans and cocoa experts to show off their talents. Hit Fauchon (Metro Madeleine) for particularly spectacular chocolate Easter eggs, chickens and bells (in France there is no Easter Bunny-- a flying bell from Rome instead expedites goodies to children)-- and other delicious concoctions. Patrick Roger's boutique on Boulevard St Germain is also usually host to some spectacular Easter creations fashioned out of cocoa. If you're on a tighter budget, try supermarkets around the city like Monoprix, which usually are bursting with more reasonably priced, but often unique, Easter-time chocolate and sweets. As mentioned above, many restaurants will be closed on Easter Sunday and Monday, making eating out a bit of a headache. However, there are some restaurants serving up special meals (particularly lunches and brunches on the Monday following Easter). Here are a few we recommend for this occasion (always reserve ahead and check opening times, menus and prices to avoid disappointment or unpleasant surprises). Au Petit Tonneau: This cozy traditional French bistrot headed by Chef Vincent Neveu is well-appreciated by locals for its annual Easter lunch menu. Seasonal dishes focus on French classic fare such as Blanquette of veal and duck leg with a honey sauce. Make sure to call ahead or reserve online, and ask about the Easter offering early to avoid disappointment. Le First: This bright, airy restaurant at the Westin Hotel in Paris generally offers a traditional Easter Brunch. Since this is a popular spot, do reserve well ahead. This is a concept restaurant in the French capital where eggs are the stars of the menu. Egg-loathers abstain! Special Easter menus available-- reserve ahead. Notre Dame de Paris generally holds a Catholic service with Easter prayers, Gregorian chants (Easter Sunday). Several Easter services (in French, Easter Monday) are also offered. Even if you don't understand French, attending a service can be a memorable experience. The American Church in Paris (Protestant/interdenominational) also frequently hosts English-language Easter sermons. This church, a hub for the American expatriate community in Paris, is located near the Eiffel Tower. Since Easter is a holiday that kids generally adore, why not organize a mini Easter-egg hunt in one of Paris' lovely parks and gardens? From the Jardin des Tuileries to the Jardin du Luxembourg, these vast green spaces make it easy to observe this fun tradition, even away from home. Another idea is to have an Easter picnic with family or your traveling companions. Enjoy the open air and the springtime blooms while you dine al fresco. Easter falls at the perfect time for a short excursion outside the city, so consider taking a day trip to one of these idyllic nearby destinations. A day at the Palace of Versailles and its magnificent formal gardens is one possibility; another is to enjoy the lush, magnificent greenery at Monet's Gardens in Giverny. Even a whirlwind day exploring the beautiful castles and gardens of the Loire Valley is feasible, provided you leave early enough in the day or go with a guided tour.